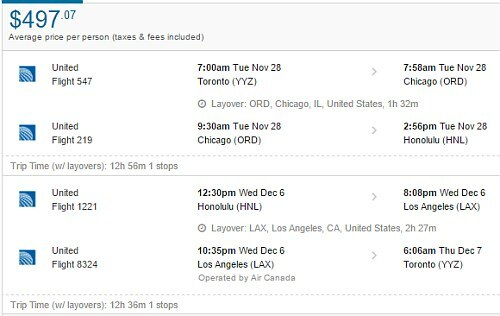 United Airlines has dropped the price of a few of their November and December flights from Toronto to Honolulu, Hawaii down to $497 CAD roundtrip including taxes. The flights have 1 stop each way, with a 90 minute to 2.5 hour layover. You can also find similar prices to Kona (KOA) or Maui (OGG) or Kauai (LIH) on the same dates, but there are 2 stops in at least one direction. NOTE: After your Flighthub search completes, select '1 stop only' on the left hand side to see these flights. 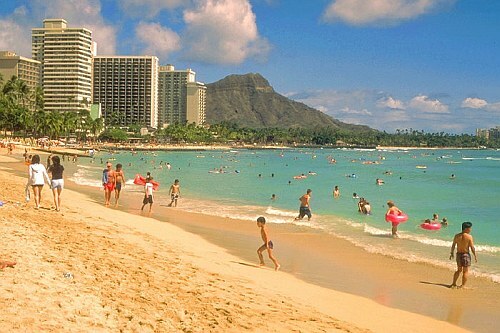 toronto, yyz, flight deals, united states, honolulu, hawaii, hnl, united airlines and north america.